A man died after NHS 24 staff failed to spot he was suffering from blood poisoning – and told him to take heartburn remedy Gaviscon. 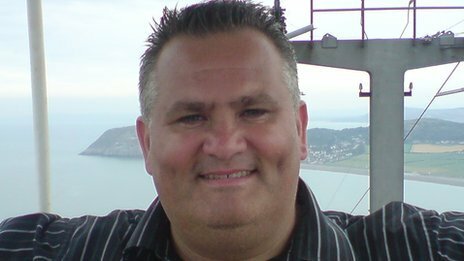 John Willock, 43, made a series of calls to the NHS telephone helpline after becoming ill after falling on ice on Christmas Eve 2009. A sheriff’s report into his death found a “number of concerns and shortcomings” in the handling of Mr Willock’s case. NHS 24 said it had made several improvements since the case. Mr Willock, a father of two from Erskine in Renfrewshire, had been delivering presents when he fell. He had hurt his knee, was “fluish”, cold, shivery and feeling sick – but hid his vomiting and diarrhoea symptoms from his partner and family until Boxing Day because he did not want to spoil their Christmas. With doctors’ surgeries closed over the festive period, he made a series of calls to NHS 24. When Mr Willock rang for a second time the day before he died, call handler Ann McDermid failed to pass on to a nurse that he had called before. In his report, Sheriff Colin Pettigrew said the cause of Mr Willock’s death had been septicaemia, although the source of the infection was uncertain. A recorded telephone conversation showed she said to the nurse that the patient had “a burning sensation in his chest for about 10 hours” and “all the other symptoms”. Nurse Fiona McCulloch, who took over the call, ticked the wrong boxes on her computer diagnostic screen. If she had ticked the one marked “persistent abdominal upper abdominal discomfort” an emergency ambulance would have been sent for Mr Willock. She told him to take Gaviscon and cold milk, later admitting that this was inappropriate for someone suffering from sickness and diarrhoea. Another NHS 24 call handler, Carolyn Fergie, admitted at the inquiry she was “tired” when she took Mr Willock’s third call to the helpline. She confessed to being “abrupt”, rushing the call and failing to listen to what Mr Willock was telling her. She failed to record on the system that Mr Willock was a “return caller” and that his condition was “serious and urgent”. As a result, nurse Pamela Scally treated it as a first call and advised Mr Willock to contact his GP practice within 36 hours. His condition deteriorated on 29 December – without ever having been admitted to hospital – and he died at home at tea-time that night after his partner Carolann Rogers dialled 999. Sheriff Pettigrew’s report included the view of a leading infectious diseases expert, who said he believed Mr Willock had a survival chance of between 60% and 85% if he had been seen in hospital on 27 December, the day after he had admitted he was ill. He was visited at home on the day he died by his own GP, Dr Murray Macpherson, who decided the patient was not ill enough for hospital. However, Sheriff Pettigrew said he could find no “reasonable precautions” that may have prevented Mr Willock’s death. He said: “There was insufficient evidence led before me to conclude that, even if a GP had visited Mr Willock (prior to the visit of Dr Macpherson) and given him an anti-emetic injection and arranged his admission to hospital, there was a ‘real and lively possibility’ that… would in any event have made a difference. A spokesman for Mr Willock’s family said: “John was loved by his family and is greatly missed. Although the family is disappointed the sheriff did not make specific findings regarding the GPs, the sheriff’s findings support the family view that there were significant failings on the part of the call handlers and nurse advisers involved in John’s care. NHS 24 medical director Prof George Crooks said: “NHS 24 would like to offer sincere condolences to the family of Mr Willock for their loss. “Patient safety is always the guiding principle in the care and advice given by NHS 24 and we have made several improvements to our systems and processes since this case in 2009 in order to further safeguard patients and ensure they receive the most appropriate care. “Following this case and the investigations which were carried out into NHS 24’s role, all staff involved at that time have been subject to robust review of their practice and appropriate training and support was put in place. “These learnings have also been shared across our frontline staff as part of ongoing continuous improvement of their practice.